Our veteran computer repair technicians average over 20 years in the IT field, while Microworx also employs a group of younger engineers and sales people who bring cutting-edge knowledge and enthusiasm to the IT industry. We pride ourselves on having a team that is engaged and enjoys working with our customers to find the perfect IT solutions for their needs. Microworx employs technicians to help you both in-store and at home. We work with businesses and local customers to get you up and running faster, without disrupting your productivity by having to bring your computer to us. This also allows our technicians to help you with difficult internet issues, like consistent internet drops or a troublesome printer connection. Just call us or stop in to set up an appointment. Our corporate headquarters is located at 20 Allens Creek Road in Brighton. The 4,000 sq. ft. facility features a state-of-the-art 50-bay computer service center and well stocked warehouse so we can get your repair done faster. We are committed to providing the highest quality service and equipment to our customers. 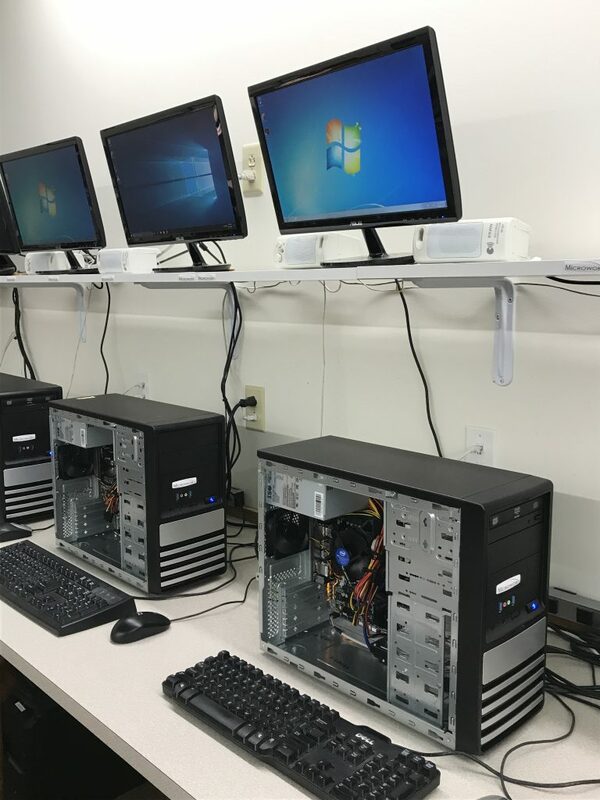 Our goal is to provide you with the solution that best fits your needs, whether you are a company in need of an onsite engineer visit or a home user in need of a single desktop computer repair. Microworx provides high-quality, cost-effective solutions for all of our customers. Best place ever!! Very helpful, knowledgeable and they get the job done quickly. Recommend 100%! Microworx saves the day!! Repaired the Minecraft laptop while I waited. Thank you!!!! And my Minecrafter thanks you. A fine and competent computer repair center. Knowledgeable and friendly. And they fix real problems. I had BSODs every hour or so for some time. They found the evil software (not viruses or malware) and got rid of all traces.